This shirt proclaims your interest in sign language as well as your support for breast cancer research. 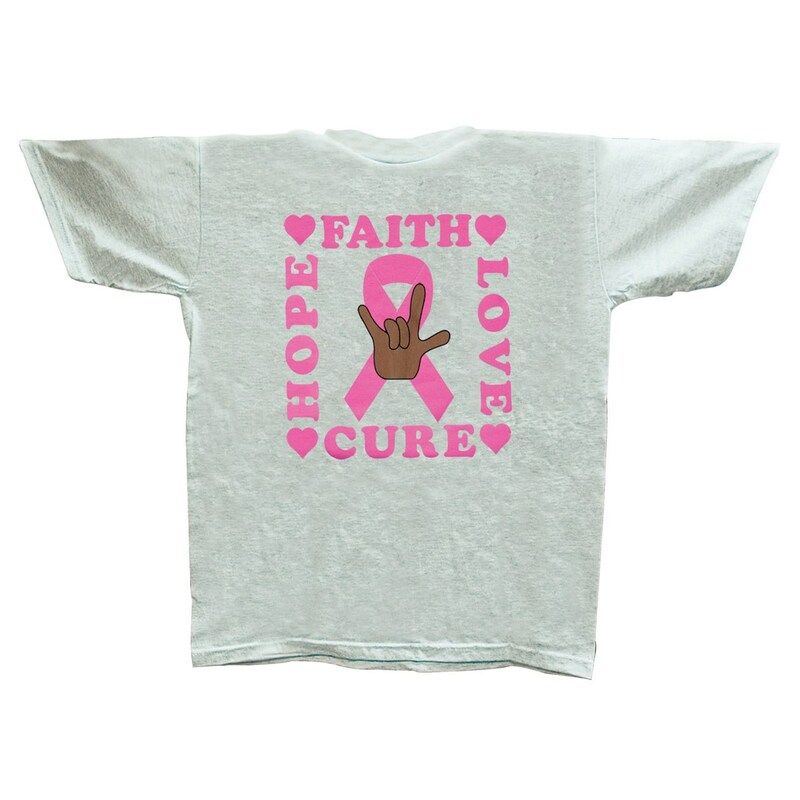 In a size large, this light-gray shirt shows the words Faith, Hope, Love, Cure in pink, and shows a brown hand signing ILY on a background of the pink Breast Cancer ribbon. Shirt is 99% cotton and 1% polyester. Scoop neck, short sleeves.